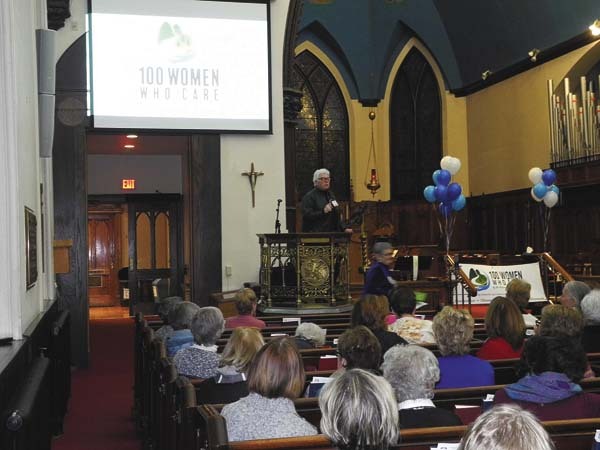 JOHNSTOWN — The 100 Women Who Care of the Adirondack Foothills organization on Thursday night celebrated its one year anniversary with its biggest donation yet — $17,000 to the Oppenheim-Ephratah-St. Johnsville Central School District’s Backpacks for Kids Program. 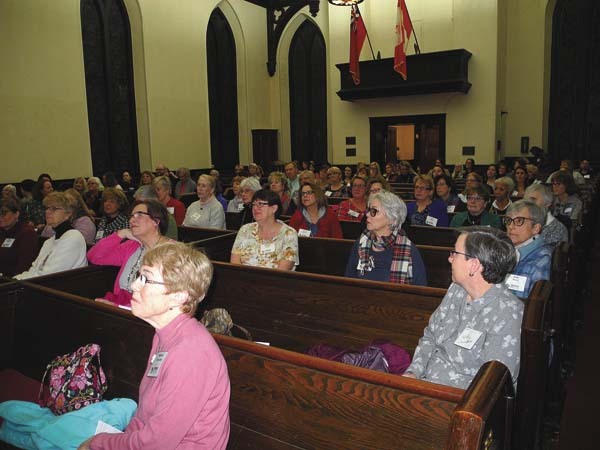 The philanthropic alliance of women from regional counties is now 170 strong, one of the founders, Patricia Beck, told the group during its meeting at St. Johns Episcopal Church. She said the group raised $17,000 for its latest effort. “It’s absolutely amazing,” Beck stated. She said $30,900 has been contributed to community organizations by 100 Women so far. Members pledge to meet together four times per year to choose a local charity from a pool of organizations nominated by one or more members. Each member then contributes $100 to the awardee. 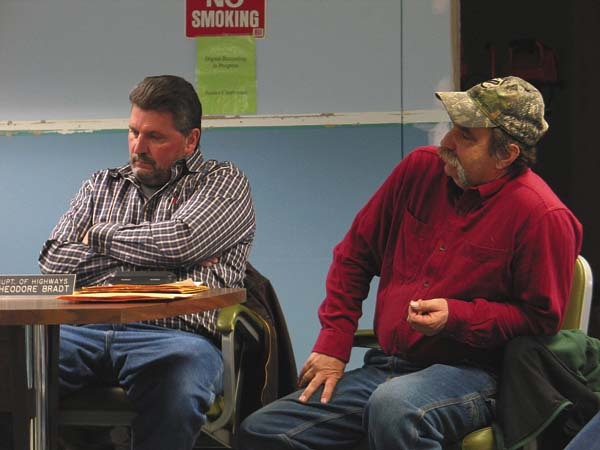 The group’s meetings are designed to be simple and efficient, lasting no longer than 60 minutes. Other 2018 donations have been given by the group to the Ayres Memorial Animal Shelter, Gloversville Children’s Backpack Program and the Haven for Hope in Fonda. 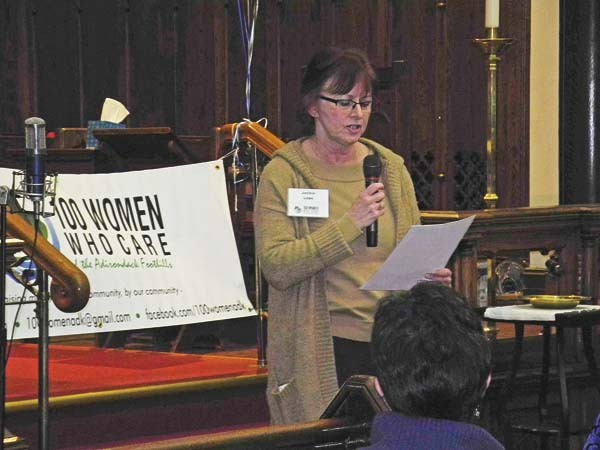 The original 100 Women Who Care was started in Jackson, Mich. in 2006. More than 350 chapters have spread throughout communities in the United States and across the globe. Beck said 14 nominations came in for the group to fund this time, and members chose three finalists randomly out of a hat. 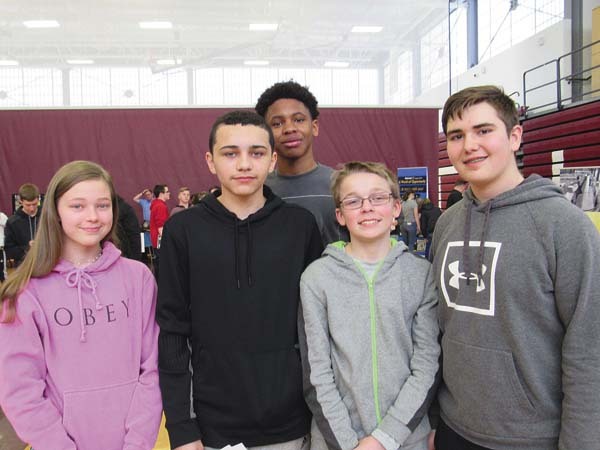 Each group made a five-minute presentation: Oppenheim-Ephratah-St. Johnsville Central School District’s Backpacks for Kids Program; Willing Helpers Home for Women in Johnstown; and the Fonda-based Montgomery County Office for the Aging. Gaining the most votes was the backpack program, for which representative Jackie Lape, the school’s junior/senior high nurse, had previously made a presentation. She said the program is mostly a “food pantry” effort. She said that, as a nurse, she sees children who are ill, but she said there is more going on when they come to school. The program meets a need — providing a source of nutrition for children — that would otherwise go unmet without the OESJ program. 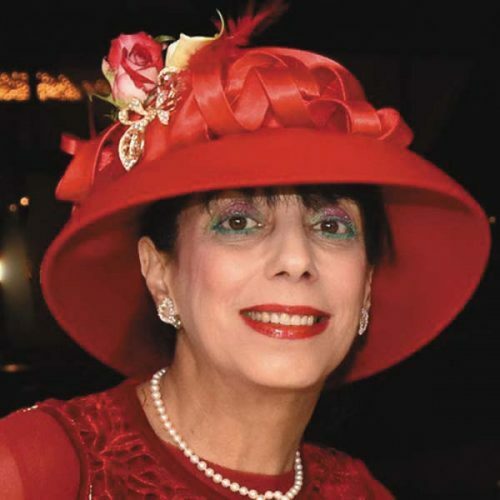 Lape had told the 100 Women group that it could fund the backpack program for about three years if it received the donation. She said the program started with about 20 children receiving food items through backpacks, but it has grown to 35 now. She said the weekly cost of the program is $6.10 per student and the program has definitely had a “positive impact” on area students. She said the program served 3,498 meals the last school year. Beck reminded those who weren’t chosen to keep in mind they can still be renominated in the future. “Don’t throw away your scripts,’ she said. 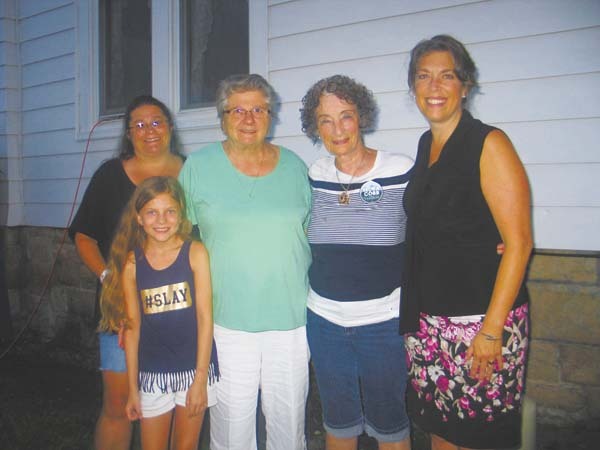 Other founding members of the local 100 Women group include Chamberlin, Amy Karas, Audrey Kline, and Marj Kline. Women wishing to join as a new member may register online at the organization’s website at www.100womenadk.org. The group’s email is: 100womenadk@gmail.com. Information can also be obtained at the 100 Women Who Care ADK Facebook page.